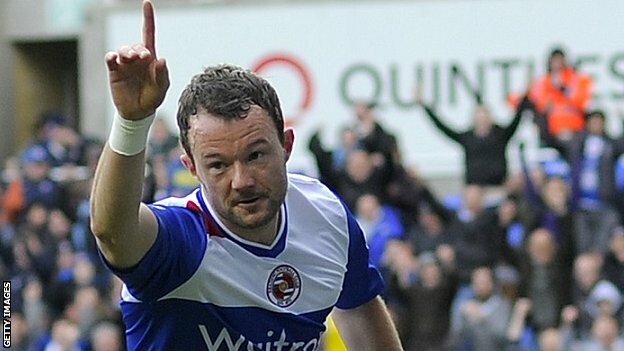 Wigan Athletic today announced the signing of 34-year-old striker Noel Hunt on a one year contract. The 5 ft 8 in tall Irishman was a free agent who spent last season at Portsmouth. Noel Hunt was born in Waterford and joined Dublin club Shamrock Rovers as an 18-year-old. He was soon to be loaned out to Waterford United where he went on to score 5 goals in 9 appearances. Hunt went on to make 25 appearances for Rovers, scoring 11 goals. Hunt signed for Dunfermline Athletic in January 2003 for £100,000. He spent three years there, injuries limiting him to making 80 appearances, scoring 8 goals, before moving to Dundee United for £50,000. He went on to make 64 appearances, scoring 23 goals in two years. In July 2008 Hunt was transferred to Reading for £600,000. He went on to spend five years there, making 145 appearances, scoring 33 goals. Hunt left Reading as a free agent in July 2013 after they had been relegated from the Premier League to re-join Brian McDermott who had taken over at Leeds United. In November 2014, he joined Ipswich Town on a short-term loan. Hunt’s time at Leeds had been blighted by injuries and he made 22 appearances, without scoring a goal, before terminating his contract by mutual agreement in January 2015. He then went back to Ipswich but was released at the end of the season, after scoring 2 goals in 7 appearances. He went on to play for Southend in 2015-16, making 21 appearances, scoring 4 goals. Last season, on a one-year contract at Portsmouth, he scored 1 goal in 20 appearances. In order to learn more about Hunt’s time at Portsmouth we contacted Jim Bonner (@FrattonFaithful) of the Fratton Faithful fan site. Noel Hunt will be a positive influence off the pitch. His experience will be valuable to some of the younger players and he was popular amongst Pompey fans last season for his attitude and willingness to talk to fans. I suspect he has signed with a view to be having some coaching role when he retires in the next year or two. However, in terms of on the pitch contribution he only scored once for us (a tap in against the nine men of Mansfield) and barely saw any playing time in League Two, so he is likely to have even less of an impact on a team pushing for promotion in League One, although his willingness to run around despite his age does give him some nuisance value up front. If he has signed to be a replacement for Omar Bogle, Wigan fans are going to be very disappointed. Hunt was a player all Pompey fans expected to leave this summer regardless of who the manager was.